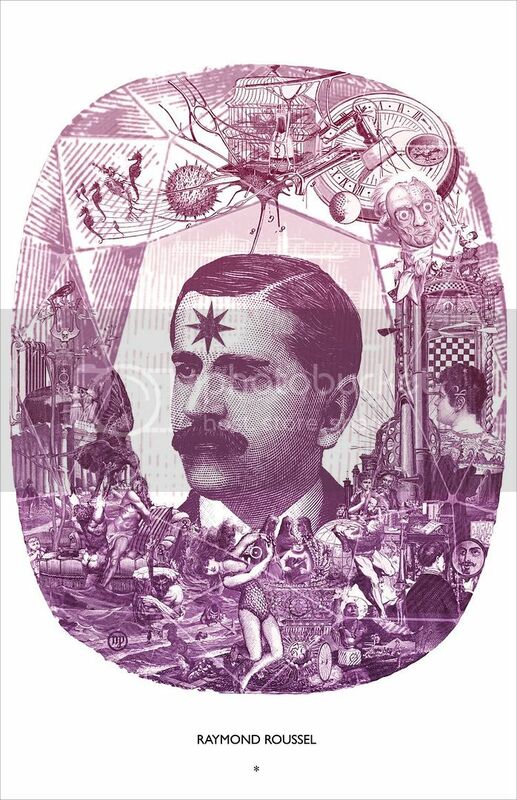 Long, long ago, I worked up this poster of Raymond Roussel as a submission for an endlessly amusing (but apparently quite exclusive) literary tribute art site. This biography is quite good if you find yourself sufficiently intrigued. The vignettes adorning the borders of this portrait are loosely based on those found in Roussel's 1914 novel Locus Solus, specifically the bottle-imp tableaux vivants so shimmeringly described in its third chapter. I was curious to see if I could pull off a likeness using bits and pieces of vintage engravings and, well, I tried. The collage style I've adopted here is modeled after that used from time to time by Max Ernst (whose art was once purchased by Roussel himself, in a typically odd encounter). "Un peu obscur, monsieur? UN PEU OBSCUR?!" 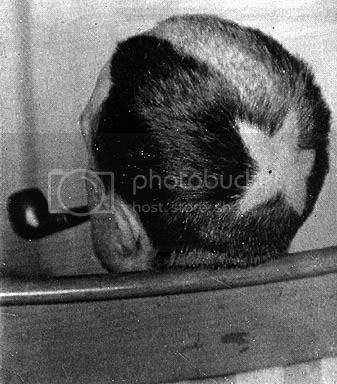 "The influence of Raymond Roussel on Duchamp is often cited but not sufficiently documented. The double R's of Raymond Roussel's initials figure into Duchamp's female pseudonym: Rrose Sélavy. This name could be a conscious tribute to Roussel, Duchamp here giving him life. Rrose Sélavy / Roussel, la vie--Roussel, life. This could be a measure of his respect for Roussel.